Boston Sofa is a contemporary two-seat sofa with its full feather back cushions. 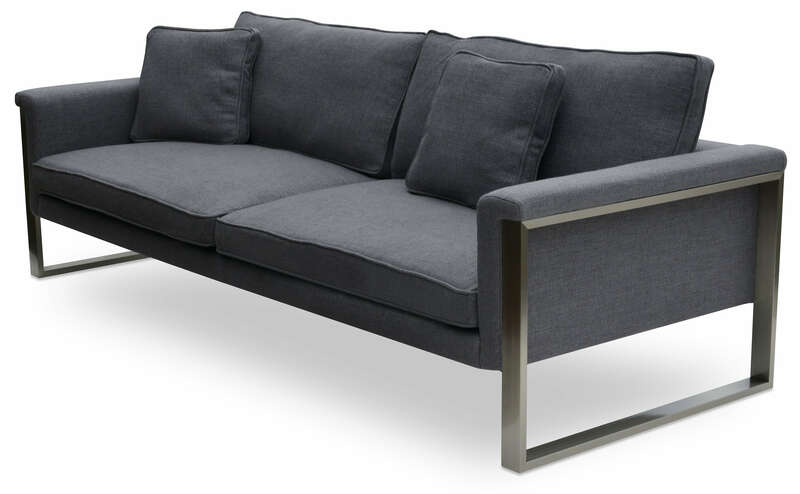 Its stainless steel sleigh base makes the sofa look very chic and elegant. The sofa is built on solid birch wood frame. The loose removable cushions are zippered and filled with down and feather. The frame is upholstered with cotton-linen fabric slip cover. This contemporary sofa is suitable for residential and commercial use. Boston Sofa can now be special ordered with no minimum quantity required. 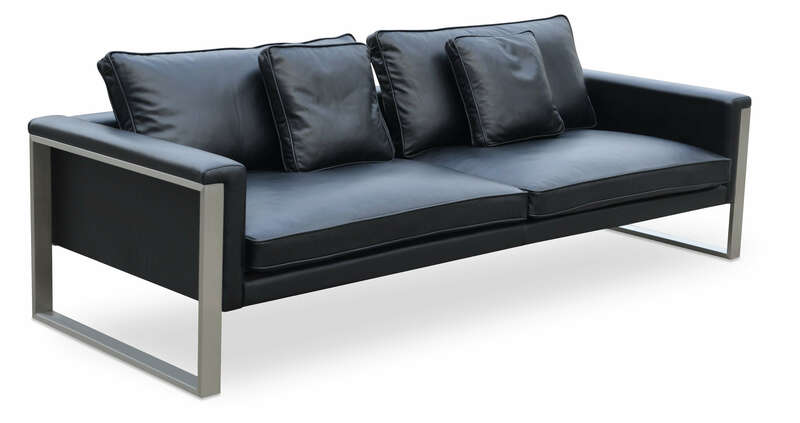 Boston Sofa is designed by Tayfur Ozkaynak. W93" x D35.5" x H30"